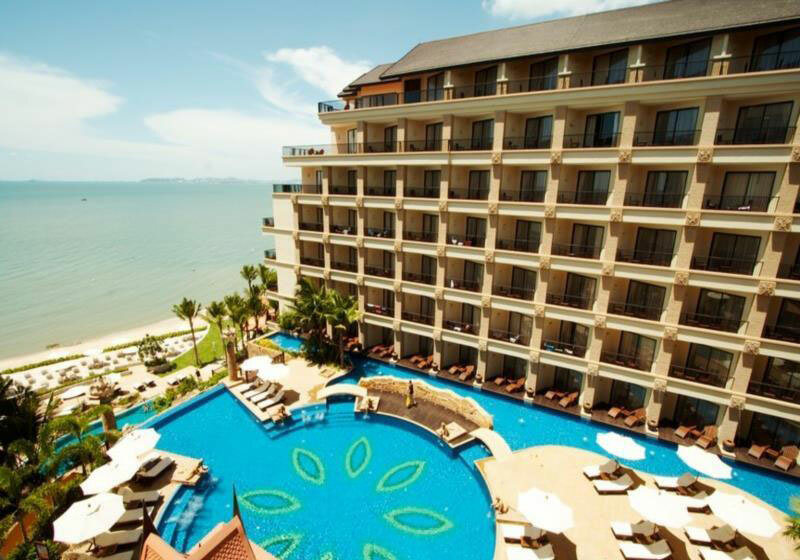 Garden Cliff Resort & Spa situated on the private and residential area of Wong Amat Beach, North Pattaya. The resort provides privacy and tranquility whilst offering easy to the main entertainment and shopping areas which are just a few minutes away. With its own beach front the resort has 230 rooms, Stylish restaurants serve the finest Thai and International cuisine as well as delicious bakery treats. The spacious infinity pool overlooks the golden sands of secluded Crescent Moon Beach, directly accessible from Garden Cliff Resort & Spa. An air of serenity and peace graces the Sanctuary of Truth. This ornate hand-carved wooden sanctuary wooden sanctuary is a popular tourist attraction and a short walk from Garden Cliff Resort & Spa. Short Description: Garden Cliff Resort & Spa situated on the private and residential area of Wong Amat Beach, North Pattaya. The resort provides privacy and tranquility whilst offering easy to the main entertainment and shopping areas which are just a few minutes away.